In a rainy Motor City, the Tigers beat the Texas Rangers 6-5. Joaquin Benoit had a 5-2 lead going into the 8th inning. In the top of the 8th, Nelson Cruz and Mike Napoli hit homers and, suddenly the game was tied. Brennan Boesch went yard in the bottom of the inning to give Detroit a 6-5 victory. In a rainy Beantown, the Red Sox beat the Indians 3-2. 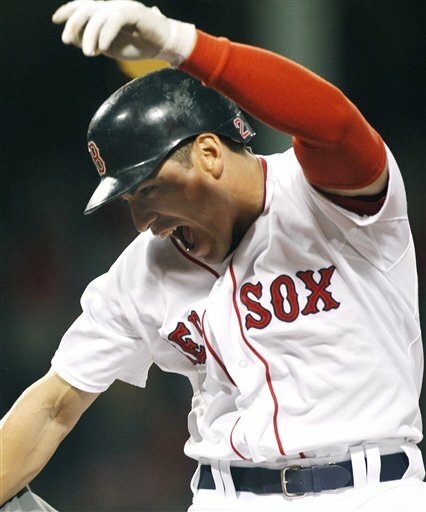 The game was tied 2-2, until the bottom of the 9th, when Jacoby Ellsbury hit a single to score Jarrod Saltalamacchia for the win. In Seattle, where it rains constantly, there was no rain. The Mariners defeated the A's 4-2. There was a nice pitching duel between the Athletics' Rich Harden and the Mariners' Felix Hernandez. But the difference-maker was a Battle of the Buds. Best buddies Scott Sizemore and newly-acquired-from-Detroit Casper Wells traded home runs. Casper Wells cranked a two-run homer in the 6th inning to give Seattle a 4-0 lead. 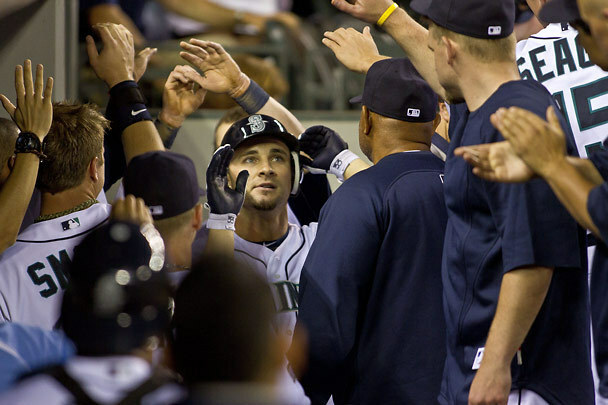 Not to be outdone, Scotty Sizemore hit a two-run homer on Felix Hernandez' final pitch in the 7th inning. 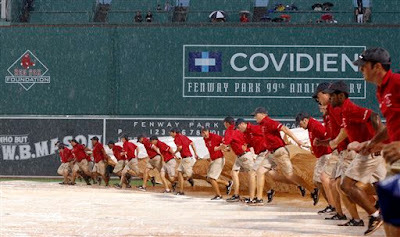 But, unfortunately, that's all the offence the A's could muster. Are you kids familiar with the beautiful Chrissy Teigen? She's a Sports Illustrated Swimsuit model and also the girlfriend of Grammy-winning musician John Legend.